The pygmy mouse lemur was once thought to be extinct until rediscovered in the Kirindy forest of western Madagascar in 1993. It is the smallest living primate in the world, with a head and body length of less than two and a half inches and a body weight of only 30 grams (about one ounce). Females are larger than males, but males tend to gain more weight during breeding season. Their tails are normally twice their length, and their coats are brown in color with lighter undersides. Since this species is rare and shy, very little is known about its biology and behavior. Traditionally, locals associate lemurs with "spirits" because of their eerie, large-eyed stare, and because they are active only at night. Pygmy mouse lemurs are found in dry deciduous forests and rarely leave the trees. Much of the day is spent resting and keeping cool in dry places such as tree holes, abandoned nests of other lemurs species, or tangled tree branches. Some female dominated groups of up to 15 have been observed, and males are solitary and are commonly seen sleeping and foraging separately. Diet consists of fruit, flowers, and insects. Mating occurs only in September, and females give birth to one or two infants after a gestation period of 50 to 62 days. The primary threat to this species (along with many other lemurs of Madagascar) is loss of woodland habitat. 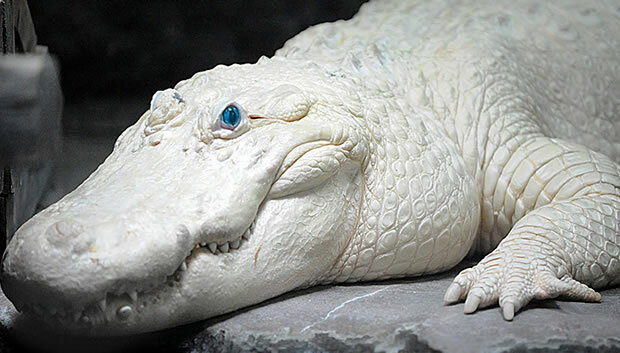 Also, some are hunted or captured for the exotic pet trade, although it is now illegal to do so. Copyright Notice: This article is licensed under the GNU Free Documentation License. 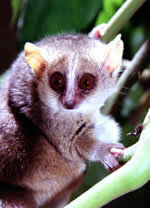 It uses material from the Wikipedia article "Pygmy mouse lemur". Glenn, C. R. 2006. "Earth's Endangered Creatures - Pygmy Mouse Lemur Facts" (Online). Accessed 4/23/2019 at http://earthsendangered.com/profile.asp?sp=961&ID=1. Need more Pygmy Mouse Lemur facts?